A studio apartment is just one main room that’s also your bedroom, kitchen and living room. All in one. There are different variations of course. Some where there are no other rooms to go into other than the bathroom – open your front door and you’re in the kitchen, the bedroom and in your living room all at once. Other types of studio apartments feature very small offshoot “rooms” or wings that are for the bathroom, kitchen and sometimes even a separate sleeping area. According to Wikipedia, the average size of a studio apartment in the US is 500 to 600 square feet. What’s a good sized studio? Well that really is up to personal preference and situation. A single person without a lot of stuff should be just fine in an average sized studio. Unless you’re a minimalist, studios smaller than 500 square feet could be considered too small in the United States, unless we’re talking about very large cities like New York City (where price definitely comes into play). Ultimately you’ll need to set up apartment tours to make a decision on size needed. Studio apartment with bed feature. The key difference between one bedrooms and studios is the fact that there is a true extra room with a door and 4 walls for your sleeping area. This usually (not always) equates to larger square footage as well. Even though some studio apartments feature a sleeping area it’s usually not an actual, traditional sized room. Just like determining the optimal size studio apartment for yourself, experiences living in one will differ wildly based on each person’s circumstances. Asking someone what a studio apartment is like when they had to settle for a tiny studio because that’s all they could afford (don’t worry we aim to help you make the most of it) is going to get you a different answer than the person who purposely chose a small studio because they don’t like buying things or found one with a bit more square footage. Being smart with your space is very important and could very well determine if you’re happy living in your small apartment or not. Think fold out, fold up, slide under, dual purpose, etc. Futon bunk beds, Murphy beds, wall mounted tv and sound bars. Floating shelves and try not to clutter the walls! Hate to sound like a broken record here, but again your answer will vary quite a bit. Studio apartments are going to look different depending on region, budget and your apartment design preferences. 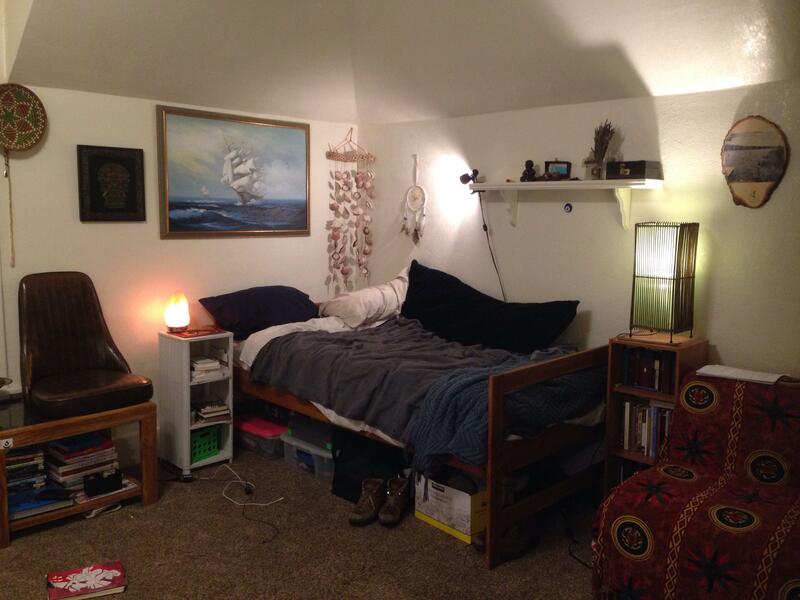 A cozy apartment in Montana can look much different than a tiny 250 sq. ft. apartment in Brooklyn, New York for example. But lucky for you there’s A TON of apartment video walk throughs and photos to be found online so you can begin to see what we mean when we say there’s a lot of variance in styles and experiences.